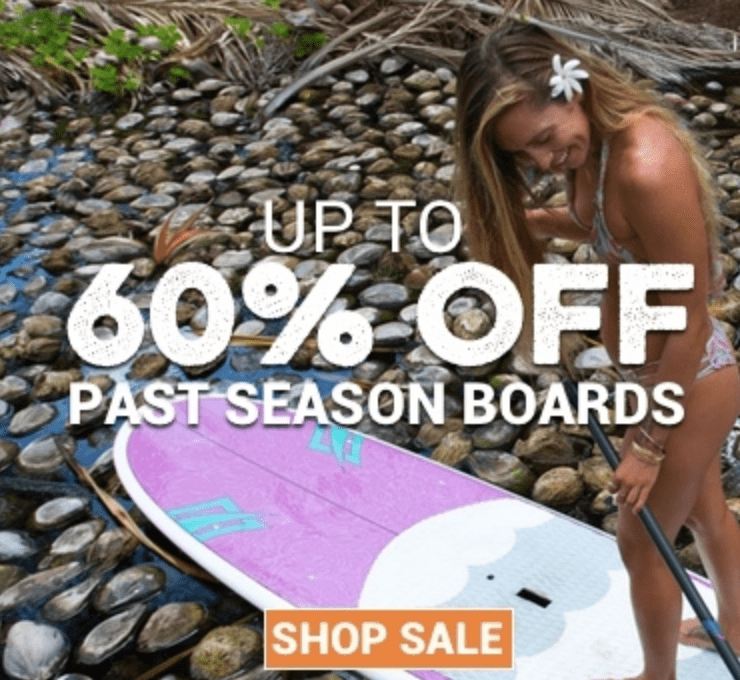 Isle Surf & SUP is one of the best brands in the game around. 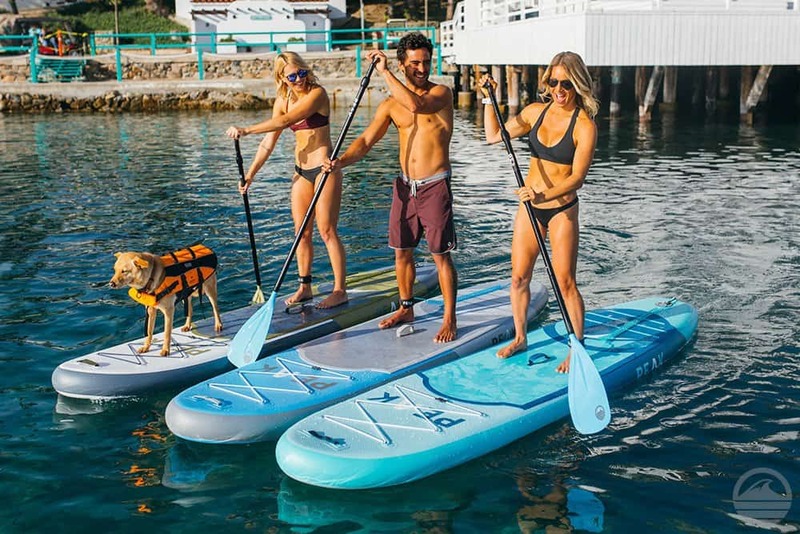 They’ve been consistently coming out with stand up paddle board products that provide both performance and durability. Many of their boards are some of the best-selling boards in the business. 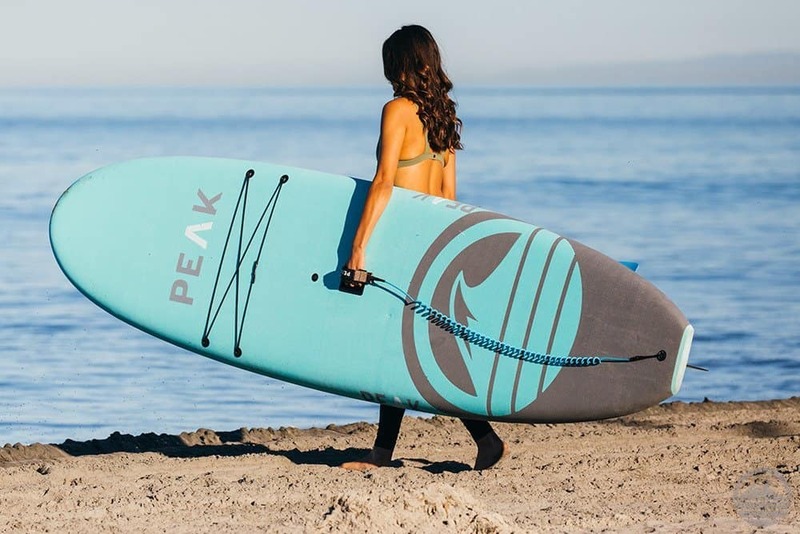 Their Peak line is known for being among the best inflatable boards around. These boards are just plain trustworthy. Isle is a company laden with expertise and knowledge. These boards are well-known for being made from quality materials that provide long-lasting enjoyment on the water. 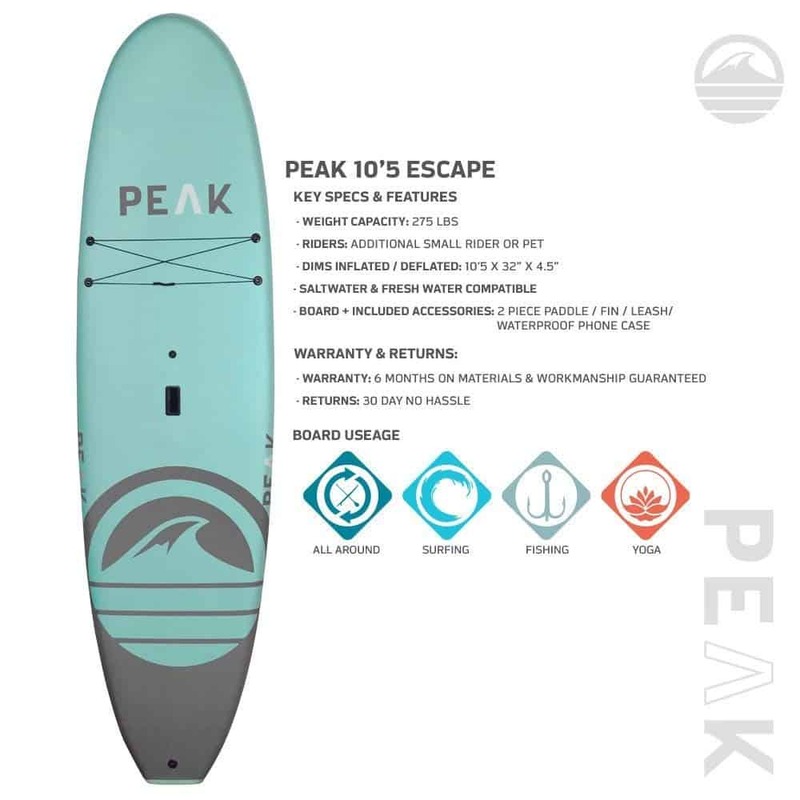 Isle Peak Boards also come equipped with accessories, which saves you some cash. In the following, we’ll review four of our favorite Peak SUP boards. Even though as you read you’ll notice that they carry a lot of similarities, each board brings something unique and different to the table. As a paddler, you’ll find that you will develop your own personal preference when it comes to selecting a board. This usually depends on who you are as a person, your paddle style, and what you want to use your board for. We hope that this short guide serves you well! The Peak Escape just oozes style and aesthetic. Even though it’s not an inflatable board, it’s easy it to mistake it for one. The soft exterior provides substantial cushioning that you would not typically expect from a hardboard. Its materials make it durable without making the board overly heavy. The board’s weight and size aid in its maneuverability. 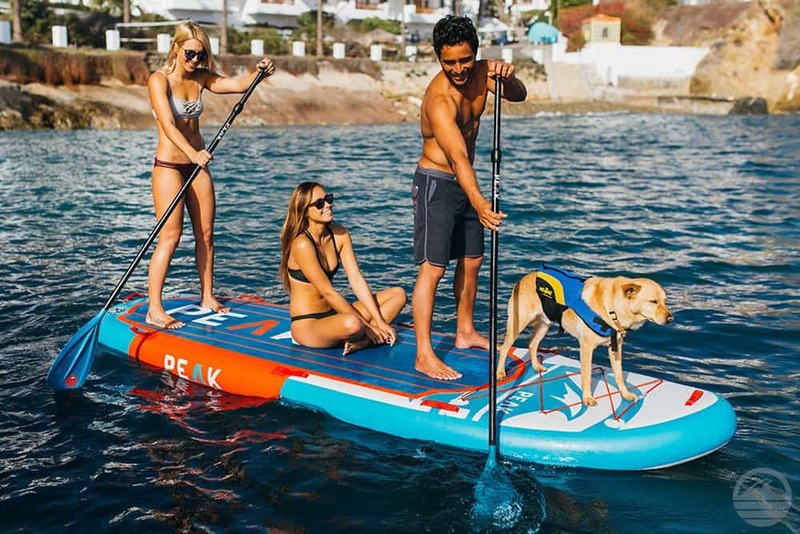 Additionally, unlike most hard paddle boards, the Peak paddle board does not suffer from the same wear and tear issues. The Escape is durable and is made with soft materials to provide comfort. It’s stylish due to its aqua color and the accessories that come with it also match the aesthetic. It comes with a center fin, waterproof case, leash, and paddle. It weighs 23.5 pounds and comes in at 10’5 in length. 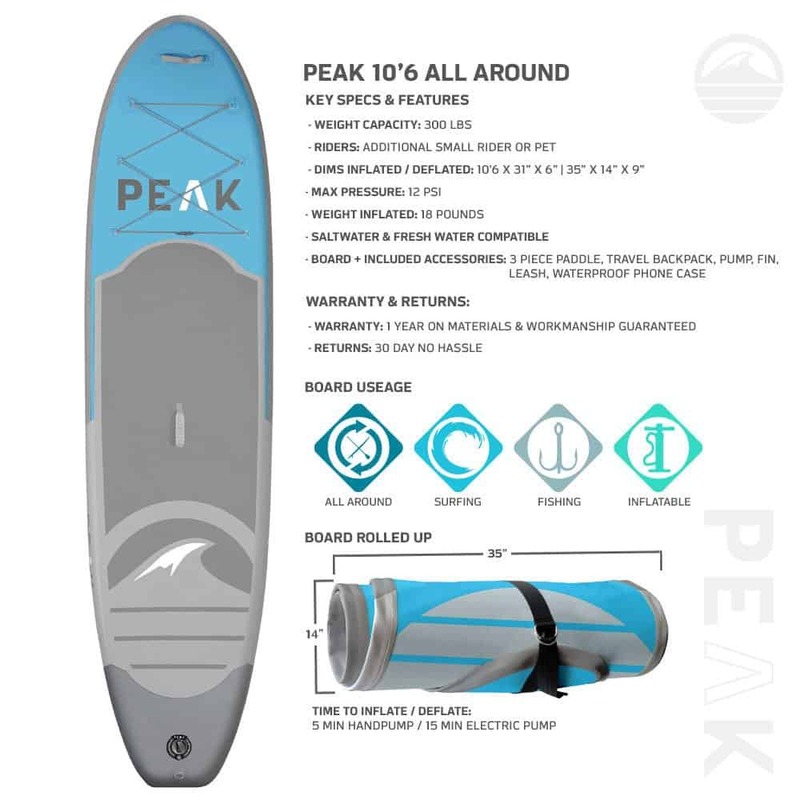 The maximum weight capacity for the aqua peak is 250 pounds. This board is very versatile and can be used in most water conditions. The only distinct disadvantage it brings is that since it’s not inflatable, it may be difficult to store and transport. It’s a versatile board that comes in an all-inclusive package with matching accessories. It’s a good board for riders of all levels. Riders typically enjoy this board due to the soft top that makes it a little different from other hard boards. It’s lightweight and provides excellent performance. The Peak Expedition, as its name suggests, is designed for the long haul. This is a great board for long trips on the water. Its lightweight design allows you to carry the board over long distances with ease. The board is designed for all water conditions including lakes, rivers, and the ocean. The soft traction pad also allows you to bring your dog without any issues. It also comes in two colors, which are aqua and moss. This board is designed for those multi-day trips you’ve always dreamed of. The board comes with matching accessories that include a paddle, backpack, leash, pump, center fin, phone bag, and leash! It also comes equipped with a bungee system and two carrying handles for convenient transport. The Expedition comes in at 11 feet in length and weighs 19.5 pounds. It can support a rider weight of up to 350 pounds. This board is probably not a good choice if you’re a beginner. Its maneuverability is a little tricky to handle for novices. The paddle is also light, which makes it easier to carry. Otherwise, it’s great! It’s made for paddlers that are seeking a board for multi-day trips. Riders have positively commented on the board’s lightweight design. The dual bungee system also allows you to attach everything you need for your paddle trip. Most riders have commented on the board’s excellence and ability to traverse different water conditions. 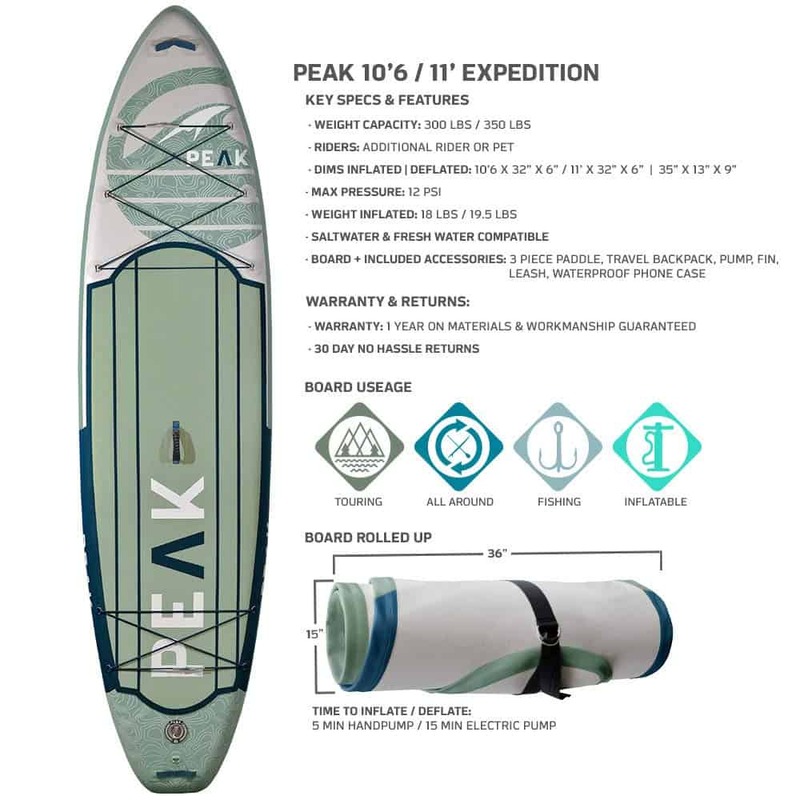 The Isle Peak Inflatable is an excellent all-around paddle board. On this board, you can yoga, fish, and leisurely paddle as you please. There are essentially zero limitations when it comes to the activities you can do with this board. This board is constructed with military grade PVC, which aids in its durability. The deck is also outfitted with a diamond traction pattern that prevents slippage and provides comfort. This board comes in three different colors, which are blue, aqua, and white. This board comes with a leash, pump, paddle, and case. It also comes with a bungee system to help with storage. It comes in at 10’6 feet in length and weighs 23 pounds. The board supports a rider weight of up to 300 pounds. The single fin is also removable! This is another board that comes with an all-inclusive package, which is an Isle staple. It gives you color options which are great for paddlers that love to look good on the water. The only drawback is that the board’s design is not made for speed performance. Additionally, the paddle is a little heavier than most paddles you may be used to. This board is fantastic for those that are sharing with other individuals. It is well-known as being one of the best SUP boards for beginners. Riders have often commented on how easy this board is to maneuver. The board is also lightweight which makes it easy to carry over long distances. he deck also comes equipped with a soft traction pad. This is also a great board for those that want to bring their dog along. It is definitely one of the most comfortable SUP boards around! The Titan is made of military grade PVC and comes with matching accessories, which include two paddles, a case, two pumps, four fins, and a bag. It can accommodate up to 500 pounds in rider weight! It measures in at 12 feet in length and is a bit heftier at 34 pounds in weight. It also comes with dual inflation valves, which helps the pumping process. 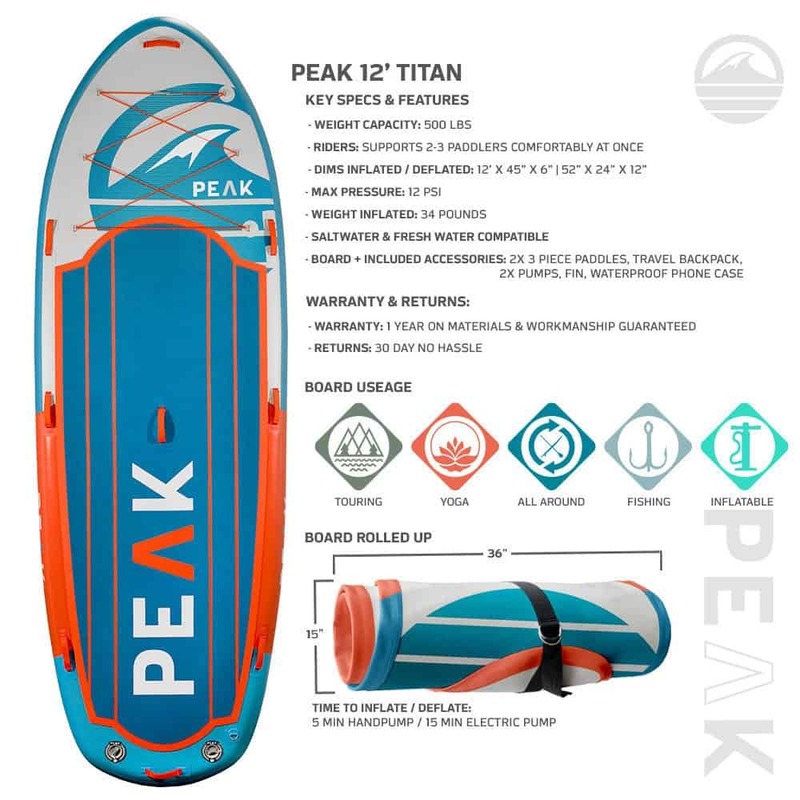 The Titan’s paddles are lightweight and the board itself comes in an all-inclusive package. You won’t need to pick up any additional accessories. This is an excellent board for group paddling and family adventures! However, it does not come with a leash. It is also not a board that we recommend you purchase as a single-rider. Many riders have commented on the quick inflation time. The board typically takes about fifteen minutes to inflate. The board is known to provide stability for multiple riders. The boards mentioned above are all excellent choices. They all serve a variety of uses, and you should make your selection based on your personal preference as a rider. Not to mention, the all-inclusive package can save you money in the long run. 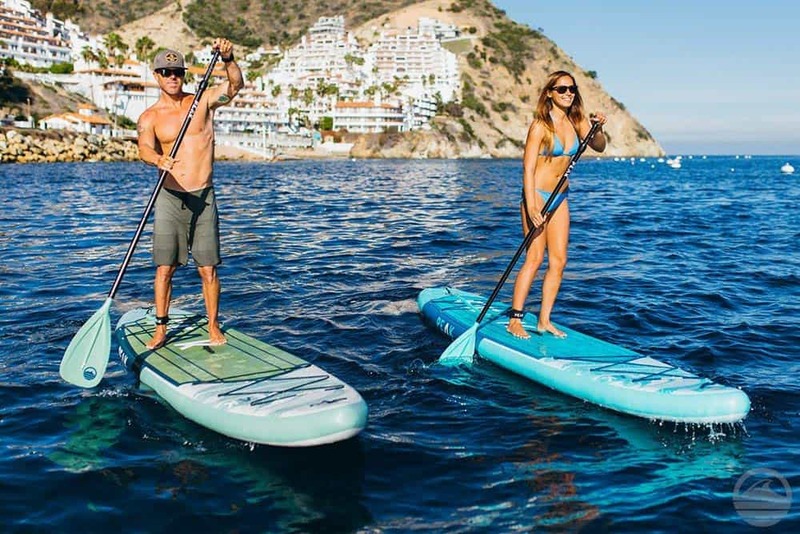 Whether you’re a single rider or looking for a family-friendly SUP board, Isle provides excellence. 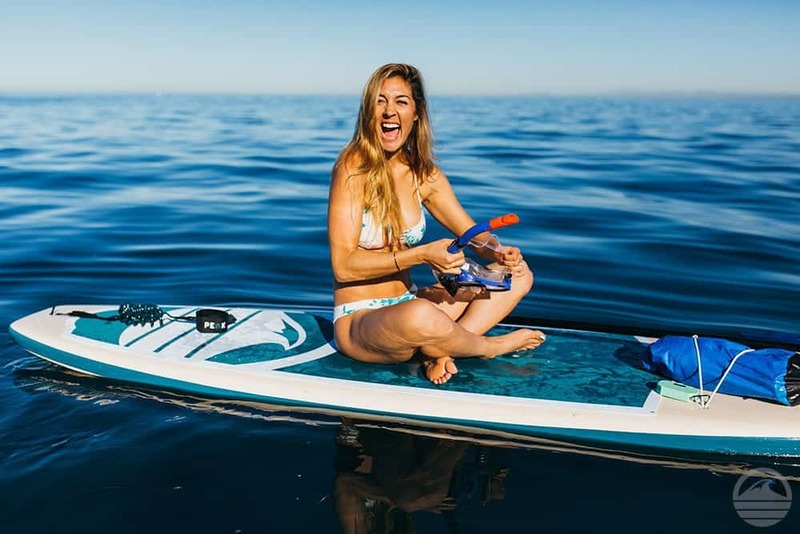 We hope that you enjoyed our Peak paddle board reviews article.